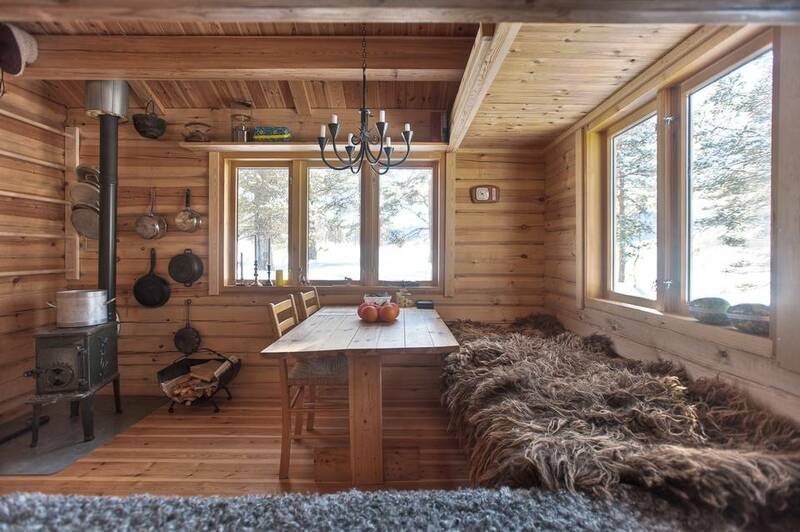 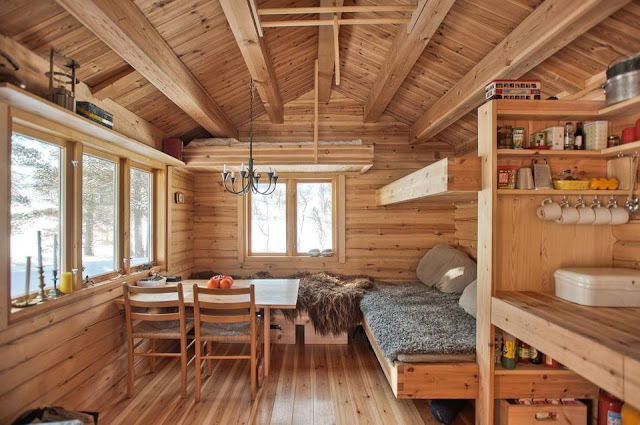 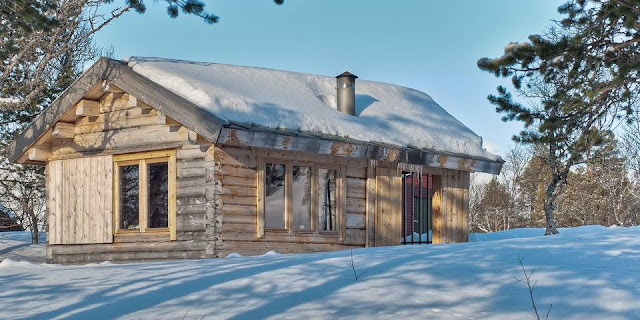 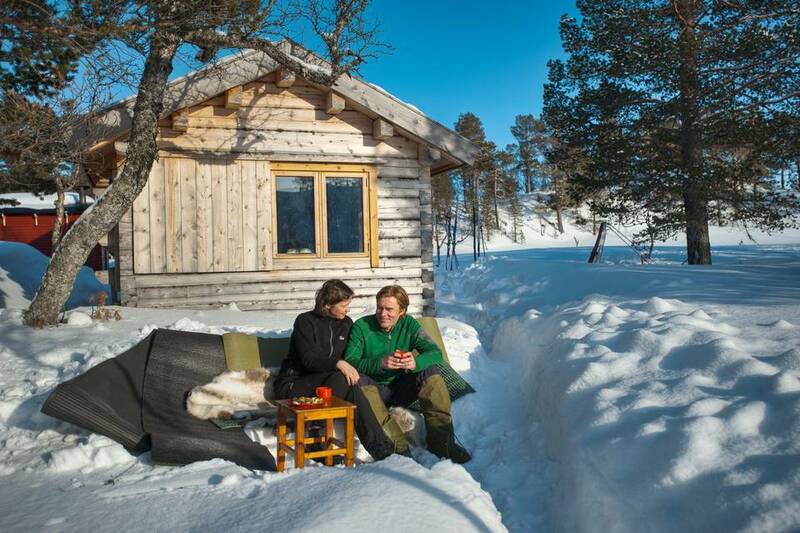 This cozy, one-room cabin in Norway has just 118 sq ft of space! It's shared by a family of four who use the home as a remote winter retreat. The home has a double bed, bunk bed, a dining room table, and a small kitchen space. 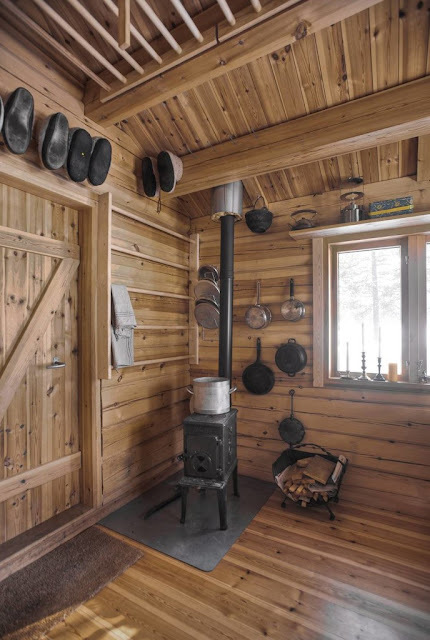 The home has no electricity or running water, so water is collected from a nearby stream and the home is heated with a wood burning stove. 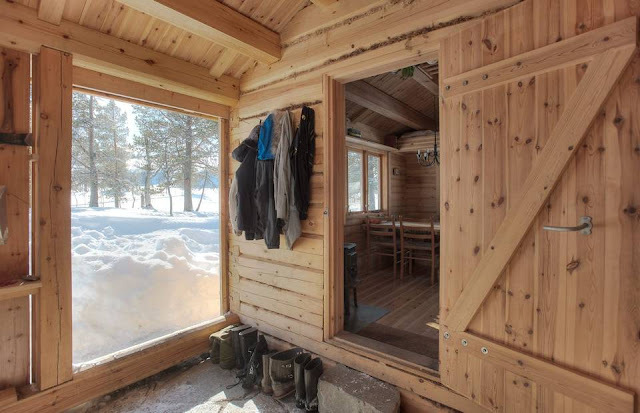 There's also an outhouse close to the cabin with a composting toilet. In addition to the cabin, there's also a 65 sq ft mud room/enclosed porch when you enter the cabin. 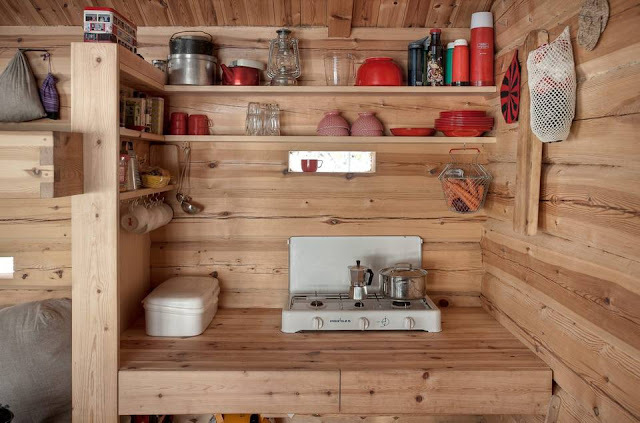 The family uses the space for storage.